The first UK university to let people pay for goods by using an app on their mobile phones. Imperial College London has rolled out a mobile payment and loyalty app called Yoyo, which it says is outperforming traditional card payment methods and reducing queues. Some 4,000 students and staff have already signed up to the app since it was integrated with till systems in 32 shops, cafes and bars at the start of the year. There are about 30,000 transactions each month, with an average spend of £3.08 and current sales including 2,658 lattes, 2,501 bottles of water and 1,498 cups of tea. Jemma Morris, head of catering operations at Imperial College London, said: "The cafes and restaurants on campus can get really busy during lunchtime and we are always looking for ways to speed up transactions and improve the service we offer to staff and students. "We were particularly impressed with the speed and simplicity of Yoyo, and are pleased that there has been such a positive reaction to the app by both staff and students." Users can make payments once they download the Yoyo app from the App Store or GooglePlay store and top up their account. The app, which uses a unique QR-code, allows users to pay for any item or service at a shop or restaurant equipped with a QR-code scanner. Once transactions are complete, users automatically collect loyalty points in the app and receive special offers or promotions from the retailers they like. 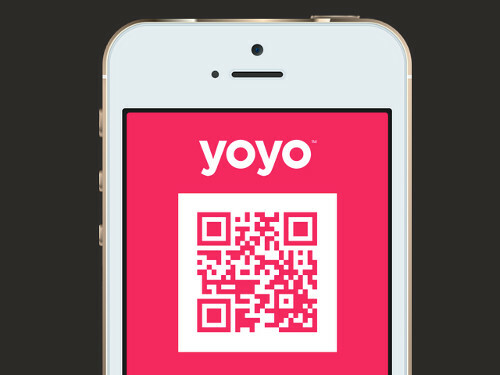 Yoyo co-founder Michael Rolph said: "There is a perception that there are millions of companies out there who do what Yoyo does, but the fact is that Yoyo is the only app combining payment and loyalty to make mobile relevant for in-store retail." The company, founded in 2013, added that the platform gives retailers a set of tools which help them to better target their customers with rewards and special offers. "With Yoyo, retailers sell more, waste less and provide a great customer experience. We’re really pleased to be providing Imperial’s staff, students and visitors with a simple way to buy goods, earn rewards and share them using their mobile phones," said Rolph.